Home / Blog / News / Coming in October: FEAR AND LOATHING, UPSIDE DOWN 2, and a NEMO Slipcase! One of Top Shelf‘s most-anticipated new projects is almost here! Troy Little’s outrageously entertaining graphic novel adaption of Hunter S. Thompson’s Fear and Loathing in Las Vegas has now landed in Diamond Previews for pre-order. Ask for it by name! The Top Shelf Kids Club continues to expand as Jess Smart Smiley celebrates Halloween with the all-new Upside Down (Book Two): A Hat Full of Spells! Prepare for even more spooky silliness, crazy plot twists, and witchy hijinks with young Harold the candy-loving vampire. 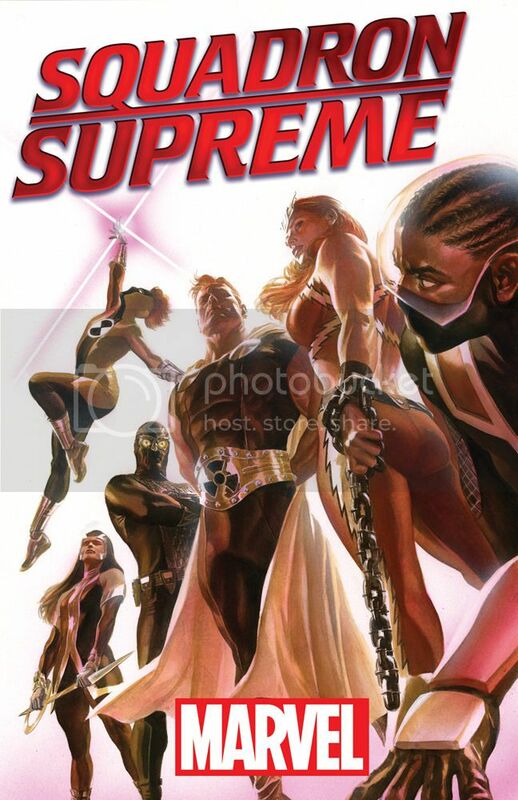 Click to read a preview! 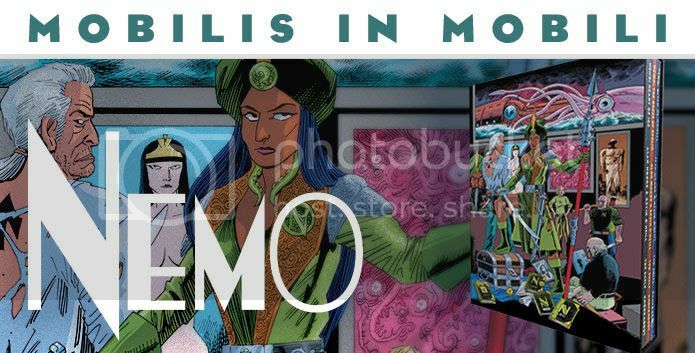 And finally… Comic-industry legends Alan Moore & Kevin O’Neill expanded their League of Extraordinary Gentlemen universe with the Nemo spinoff trilogy of pulp-adventure graphic novels to rave reviews… and now we present them together as a stunning gift set, perfect for any bookshelf! Pre-order the Nemo Slipcased Set and find it at your favorite retailer in October. New Team. Same Mission. More Deadpool. Your First Look at UNCANNY AVENGERS #1! Juan Mario Farrugia, October 29, 2015 November 8, 2015 , News, New Team. Same Mission. More Deadpool. 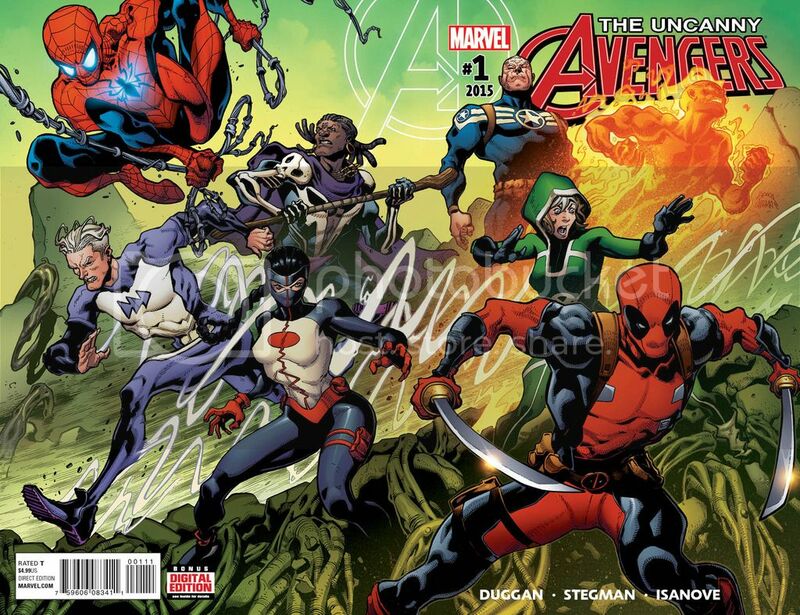 Your First Look at UNCANNY AVENGERS #1! Double Barrel Issue 2 Out Now!